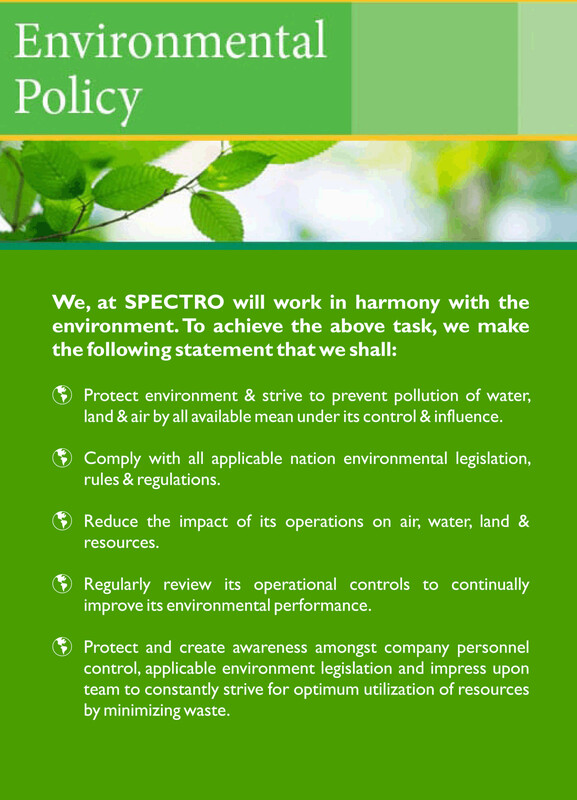 This policy has been developed to be consistent with SPECTRO work activities, ethics, and shared values. 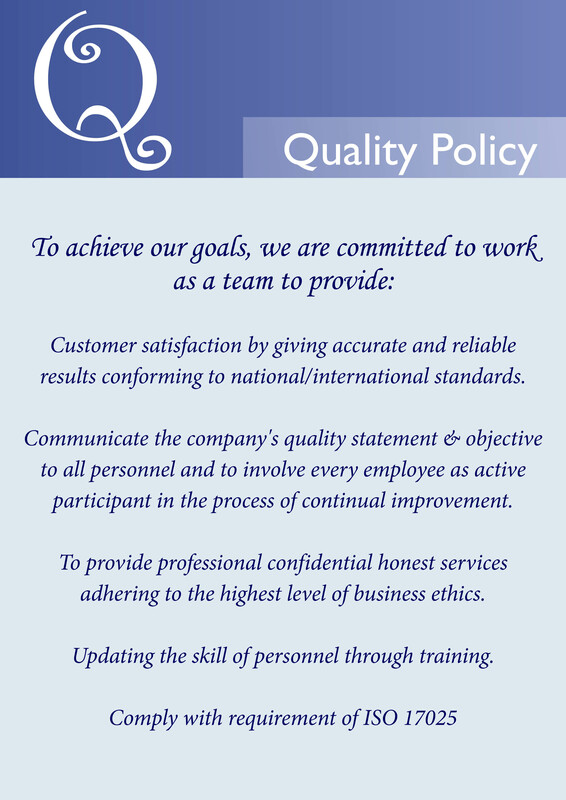 We are committed to continual improvement in our Environmental and Quality performance. The prime objective of the management and employees of SPECTRO is to provide services in a manner, which confirms to our clients requirements and all applicable regulatory requirements. In order to achieve this objective, it is the set policy of our company to maintain an effective Environmental and Quality Management System.